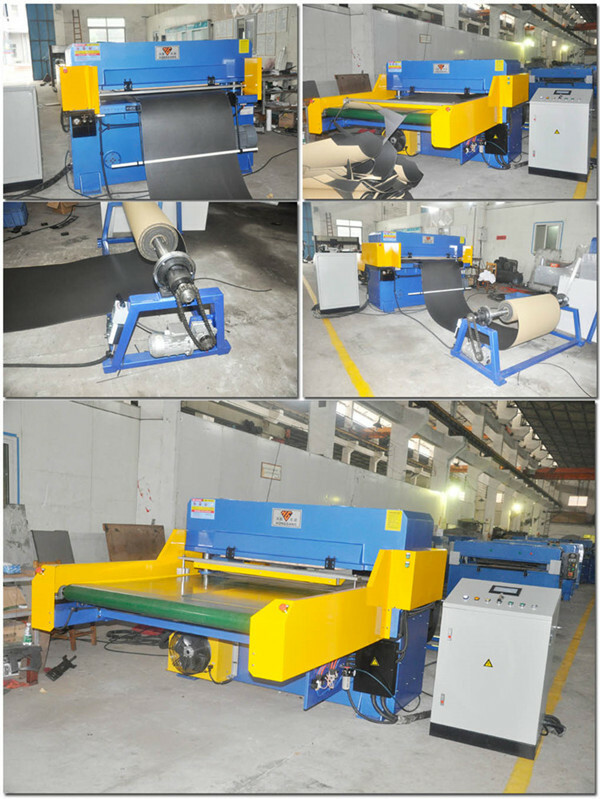 The automatic feeding car leather roll cutting machine usd for die cutting soundproof products,car seat covers,multi-layer fabrics etc.rolls materials. 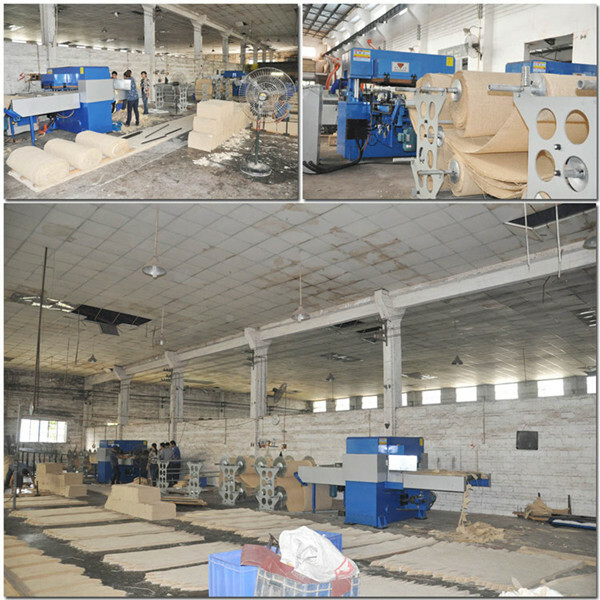 1.Automatic roller-in-feeding, movable clamp out-feeding, allows all cutting process without any labor. 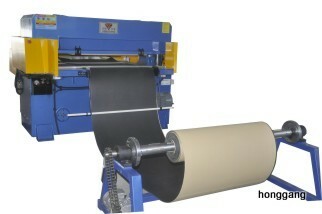 2.Roller device with auto rolling function to roll materials easily; rollers easy to change. 3.Controlled by PLC(Programmable Logic Controller), with touching screen, to adjust working pressure, stroke, feeding speed easier, faster and more precise. 4.Auto-balance structure of double-cylinder, four-column and self-balance connecting rod, makes sure equal pressure in any working area. die cutting leather PU/PVC etc rolls materials.